When the moment arrives and your Invisalign treatment is complete, we will all be smiling together! But what happens after Invisalign? Here is what you can expect upon completion of your Invisalign treatment. At your final appointment at Smile Center in Fredericksburg, we will take “after” photos so that you can compare your results. It’s always exciting for our patients to see how the “before” and “after” photos reveal amazing results that match the 3D images created at the very first appointment. From start to finish, we help you achieve the smile you deserve. Here at Smile Center, we’re dedicated to helping you achieve and preserve those results. Like most doctors, we recommend the use of a retainer after orthodontic treatment. The retainer will ensure that your smile doesn’t shift back to its initial position over time. The treatment plan for preserving your results will vary from patient to patient. You may wear a retainer throughout the day for a period of time. You may wear a retainer only at night. We will discuss the best options for your smile. There are many different types of retainers, but we are committed to the level of quality that Invisalign provides. That’s why we recommend Vivera retainers after Invisalign. Like Invisalign clear aligners, Vivera retainers are virtually invisible. They are made with the same state-of-the-art technology that created the Invisalign treatment system. 2x as durable and 30% stronger, Vivera retainers are less likely to break than any of the other leading clear retainer brands. In the same way that your Invisalign clear aligners were designed for you, your Vivera retainer will be designed from a digital scan of your teeth. Your custom retainer will be ordered and we will contact you when it arrives. In fact, you’ll be supplied with four sets of retainers when purchasing. We recommend switching your Vivera retainers out every one to two years as the material can deform over time. Each patient will have a plan that uniquely suits their needs. Some may wear the retainer all day and night, gradually decreasing wearing time. Some patients may only need to wear their retainer at night. Call Smile Center today to schedule your free smile assessment. We’re with you every step of the way: 540-899-7791. Taking care of your clear aligners is simple. Easy maintenance is actually one of the greatest benefits of using aligners for orthodontic treatment. Maintaining your oral health and cleaning your clear aligners is a very important part of the treatment process. The best way to clean your aligners is to use the Invisalign Cleaning System developed by Invisalign specifically for this purpose. It is available online or right in our office. The aligners can also be brushed with a toothbrush and toothpaste and then rinsed in lukewarm water. The most important thing to remember when cleaning your aligners is never to use hot water as it could permanently warp the plastic. We like to encourage our patients to floss and brush after each meal or snack, before putting their aligners back into place. One of the reasons for this is to avoid staining the aligners with food residue (like berries or sauce). Our patients are also strongly encouraged to avoid harboring bacteria by keeping their aligners clean at all times. If you drop your aligners in an unsanitary place, it’s extremely important to ensure that they are hygienic before putting them back into your mouth. Invisalign Cleaning Crystals help keep your aligners clean and hygienic. In as little as 15 minutes, this cleaning system can remove plaque and keep your aligners clear. If your aligner breaks or if you lose it, it’s important to call the office right away. Since aligners and retainers are considered prescription items, patients cannot order replacements directly from Invisalign. We will work with you to keep you on track with your treatment. For some patients, this could mean wearing a previous set of aligners until replacement aligners are ordered and delivered. The simplicity and ease of caring for your clear aligners is just one more reason to smile about Invisalign! Call our office at (540) 899- 8859 to schedule your free smile scan today! Invisalign clear aligners are designed to have a maximum impact on your smile and a minimum impact on your daily life. If you are considering clear aligner therapy, perhaps the following questions will help clarify some of your concerns. Will my aligners be noticeable? Invisalign clear aligners are comfortable and barely noticeable. Made from SmartTrack material and designed to comfortably conform to each tooth, Invisalign is virtually invisible. Yes! One of the great benefits of clear aligner therapy is that your aligners are removable. You can eat, drink, brush and floss teeth as usual. They can even be removed for special activities or occasions like playing an instrument or sport, getting married or going on a job interview. In order to achieve the best possible results, we advise our patients to wear their aligners for 20-22 hours per day. Are there are eating restrictions? There are no eating restrictions with Invisalign! The aligners can simply be removed while eating or chewing gum. That means you won’t have to say goodbye to your favorite foods during your treatment. It’s crucial to the treatment process, however, to minimize the time spent with the aligners removed. Since the aligners must be worn for at least 20-22 hours a day, we do recommend that you eat while wearing your aligners, if possible. Is living with Invisalign painful? With the use of precise, gentle pressure and constant force, the treatment can cause minor discomfort. This usually subsides within the first few days of wearing a new set of aligners. Our patients describe this temporary feeling as “pressure.” The good news is—that gentle pressure is a sign that you are getting closer and closer to your new smile! If discomfort persists, don’t hesitate to call our office. Is it normal for my teeth to feel loose? If your teeth feel slightly loose, that is normal. As your teeth gradually shift into proper position, this shifting and reforming can cause the sensation of having loose teeth. If it persists, please call our office. Will my speech be affected by wearing aligners? As your tongue adjusts to having the clear aligners in your mouth, it may feel awkward to speak. Some patients have a slight lisp that quickly goes away. Will my aligners fall out while I sleep? 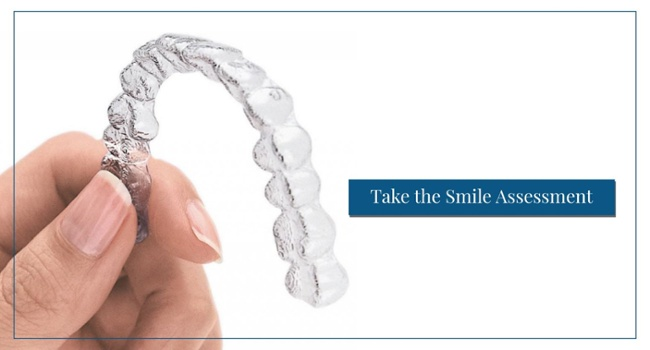 Your aligners are customized to fit your teeth comfortably and snugly. It is not likely that they will fall out whether you are sleeping, talking, laughing or exercising. You can enjoy maximum comfort with a minimal impact on your daily life. What happens if I skip a couple of days during my treatment? Don’t do this! However, your aligners may still fit if you have only skipped a couple of days. When putting your aligners back on your teeth, you may have some discomfort. Call our office immediately so that we can help you get back on track as quickly as possible! At Smile Center, your Invisalign treatment will be a team effort! We are here to help answer any questions you may have, to fully customize your treatment and to ensure that you have the best possible experience with your clear aligners. Call our office today to start smiling with Invisalign: (540) 899-7791. For over 20 years, Align Technology, Inc.—the company that created Invisalign—has been dedicated to the art of a healthy smile. Five million smiles later, through constant innovation and collaboration, Align Technology continues to make a positive impact on dentistry. With other clear aligner brands that come and go, Invisalign remains the trusted gold standard in the industry. At Smile Center, our patients are treated with the very best clear aligner therapy available. The Clear Aligner You Can Trust. FDA approved. In 1998, Invisalign was given the 510(k) clearance by the FDA to sell Invisalign. The U.S. Food and Drug Administration classifies Invisalign as a Class II medical device. Quality, safe materials. Medical-grade, high molecular weight, and thermoplastic polymers, the materials Invisalign is made from, have been tested and determined to be biocompatible and safe for long-term use in the mouth. Testing has not revealed the presence of any latex, parabens, phthalates, glutaraldehyde, epoxy or Bisphenol A (BPA). Innovative technology. Used by over 5 million patients and offered in over 90 countries worldwide, Invisalign clear aligner therapy has successfully transformed smiles for two decades. One of the reasons the dental industry trusts Invisalign over other similar products is the continual innovation of their product design and technology. What Is the Invisalign Difference? While other clear aligner brands come and go, Invisalign remains the world’s most advanced system with over two decades of innovative success. Up to 2x faster than traditional braces. With the use of innovative technology, the movement of each tooth can be predicted with efficiency and accuracy. Convenient design. Patients can enjoy the convenience of removal aligners without restrictions on their daily life. Comfortable and barely noticeable. Made from SmartTrack material and designed to comfortably conform to each tooth, Invisalign aligners are virtually invisible. Schedule your free Smile Assessment at Smile Center today. Experience the Invisalign difference for yourself! We look forward to introducing you to your new smile: (540) 899-7791. Innovations and technological advancements have made Invisalign treatment a successful treatment option for almost every malocclusion. Our patients’ needs range from the severe to the complex, and clear aligner therapy is a solution for both adults and teens. 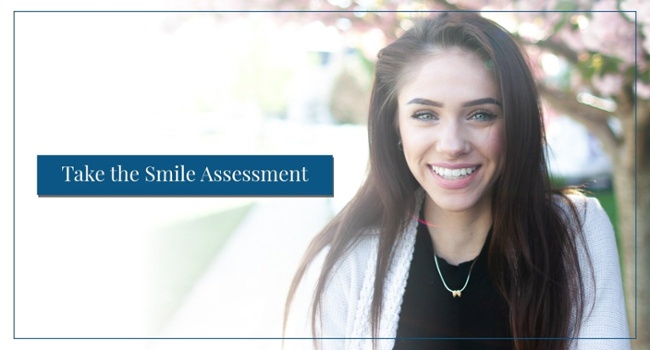 If you are looking to improve your smile without impacting your lifestyle, we recommend scheduling a smile assessment so we can discuss your needs and goals. This initial consultation will be of no cost to you! Step 1: Schedule your consultation. We will discuss your goals, do an evaluation of your smile, and then design a customized treatment plan. This digital treatment plan actually enables you to visualize each step in the process as you watch your smile transform. Step 2: Approve your treatment plan and order your custom aligners. To ensure your teeth are in optimal health and prepared for the treatment, we may suggest you schedule a routine dental cleaning before beginning your course of treatment. Step 3: Follow the plan. After your aligners arrive, your treatment can begin! Each set of aligners must be worn for 20 to 22 hours per day. Every 1 to 2 weeks, as prescribed by Dr. Butterworth, you will exchange your aligner for a new pair. The shifts in each tooth are gradual, but progressive week after week. Step 4: Check-in with regular appointments. Every four to six weeks, Dr. Joel will evaluate your progress and make adjustments to your treatment plan as necessary. We will join you in the process every step of the way! How long do you wear your retainers? Do you really have to wear Invisalign for 22 hours? How many times a day can I remove Invisalign? For best results, aligners must be worn for 20-22 hours per day. The clear aligners are worn throughout the day and night. Patients are instructed to eat, drink, and brush as usual by simply removing the aligners for those activities. The blue compliance indicators, which are unique to Invisalign, make it possible for parents of teens to track usage and tooth movement. The system also comes with a case so that the aligners can be safely stored during the brief times they are removed. The length of treatment varies according to each patients’ needs. And the success and speed of the treatment depend on the fidelity of the patient to the treatment plan. By using the aligners for 20-22 hours each day, you will be closer and closer to your new smile. The timeline for Invisalign treatment can be faster than or similar to braces, depending on each individual’s case. The full course of treatment could typically be anywhere from 6 months to 2 years. Most patients complete their treatment by using an Invisalign retainer to keep their new smile in place. Curious to know more? Contact us today to schedule your smile assessment! Many of our patients have been asking us: “What is clear aligner therapy?” or “What is Invisalign treatment?”. We are always happy to take the time to listen and to answer our patients’ questions. We are also happy to share about Invisalign treatment because we know that the impact it’s had on our patients’ lives has been positive and significant. Invisalign is an orthodontic treatment in which teeth are gently corrected by using a series of custom clear aligners. Unlike other clear aligners, Invisalign is made of a patented, flexible thermoplastic called SmartTrack®, engineered specifically for comfort and effectiveness. This material is FDA-approved and does not contain BPA, BPS, latex, or gluten. Since they are thin and custom designed to fit over your teeth, they are virtually invisible. In order to get that snug, custom fit, Dr. Joel Butterworth designs a digital treatment plan that is unique to you. Each movement of your teeth will be mapped with precision. Based on your treatment plan, your aligners will be crafted to apply the exact amount of force to each tooth at the right time. Dr. Joel will monitor the progress closely and ensure the best possible fit. Most patients have treatable cases and find that they can easily address with Invisalign what they had planned to correct with braces. Typically, the cost is similar and the treatment times may be up to 2x faster, as well. In a traditional metal braces system, metal brackets are glued to each individual tooth and connected with wires and rubber bands. Wax is used as a preventative for abrasions inside the mouth caused by exposed metal. When a wire pops or bracket brakes, you need to make time for repairs with an emergency orthodontic appointment. The smooth BPA-free plastic aligners are a durable, convenient, comfortable solution you can incorporate into your lifestyle. No broken wires or emergency visits. Am I guaranteed to have straight teeth with Invisalign treatment? We begin your treatment with an extensive, free consultation in order to achieve the best results possible. While we cannot guarantee a treatment outcome, we know from the hundreds of patients we have treated at Smile Center over the past 18 years as an Invisalign provider that every smile is unique. We take the time to listen to your treatment goals and encourage you to communicate your goals to us at your consultation. Schedule your free smile assessment with us today! Clear aligner therapy is an orthodontic treatment option that gradually corrects the positioning of the teeth as patients wear a series of clear aligners. Each aligner is custom designed for slight shifts over a period of time until optimal results are achieved. Are clear aligners right for me? Invisalign can be used to successfully correct every type of malocclusion: overbite, underbite, crossbite, open bite, and more. It is also a successful treatment plan for crowded teeth, gap teeth, or generally straighter teeth. At your consultation appointment, you will have the opportunity to see the science behind your new smile and actually preview what Invisalign treatment can do for you with customized before and after images. Our iTero Element Scanner eliminates the need for messy molds. Taking 6,000 images per second, the scanner will instantly generate a 3D rendering of your mouth. Then, the scanned images will be loaded into the ClinCheck Software in which Dr. Joel will work with Invisalign technology to expertly design every shift of each tooth. This individualized plan can be previewed on the spot so that you can see exactly what clear aligner therapy can do for you. How does clear aligner therapy work? The individualized treatment plan will map each movement of every tooth. A series of clear aligners are custom designed to apply gentle force with precision. Progress is monitored at every step so that you can be assured that your treatment is going according to plan and the aligners are fitted and trimmed correctly. What is Invisalign made of and what does it look like? Invisalign SmartTrack is a patented, flexible thermoplastic material that is both BPA-free and BPS-free, and does not contain latex or gluten. The thin aligners are clear and custom fit for maximum comfort and virtual invisibility. The trimmed and contoured gum line ensures an ideal, snug fit. The length of treatment varies depending on each patients’ needs. By using the aligners for 22 hours each day, you will be closer and closer to your new smile. The timeline for Invisalign treatment can be faster than or similar to braces, depending on each individual’s case. The full course of treatment could typically be anywhere from 3 months to 2 years. Most patients complete their treatment by using an Invisalign retainer to keep their new smile in place. You might be surprised by how affordable your new smile can be. Our patients typically find that the cost of Invisalign treatment is actually similar to the cost of traditional braces. Depending on your plan, insurance may cover costs up to $3,500. Since patients also may use pre-tax dollars through a Flexible Spending Account (FSA) or Health Savings Account (HSA), there are actually three ways to pay. As an Invisalign provider, Smile Center can walk you through a monthly payment plan process that works best for you. Ultimately, an investment in your smile could save you thousands of dollars by helping you avoid the negative side effects of having misaligned teeth. At Smile Center, more and more patients are asking Dr. Joel Butterworth about clear aligner therapy. Dr. Joel is a Platinum Invisalign Provider who has helped hundreds of patients in the Fredericksburg region achieve the smile they deserve. Call the office today at 540-899-7791 to book an appointment. We look forward to discussing the many reasons why Invisalign could impact your smile and your life. One in five people has some form of malocclusion or irregular contact between their upper and lower teeth. Occlusion, or the proper alignment of teeth, is not always naturally achieved. Ideally, the jaws align so that the upper teeth fit slightly over the lower teeth and the positioning of every tooth fits into the grooves of its partner. Teeth that do not fit together correctly are harder to keep clean, consequently putting patients at greater risk for tooth decay and gum disease, among other issues associated with malocclusion. Before deciding on a treatment plan, it is helpful for patients to be informed of the different categories and types of malocclusion. Class 1 is the most common category of malocclusion. There is a normal bite with slight overlap or slightly abnormal spacing, rotation, or crowding. Class 2 or retrognathism is an overbite with severe overlap of the upper and lower jaw and poor molar correlation. Class 3 or prognathism is an underbite in which the lower jaw protrudes, causing an overlap of the lower and upper jaw. Crowding is the most common malocclusion. A lack of space can lead to crooked teeth and overlap. Crowding can affect a few teeth or every tooth. Overjet is a horizontal extension of the top teeth over the bottom teeth. It differs from overbite. Exposed, protruding teeth are susceptible to damage and may cause problems with speech and/or eating. Overbite is the overlapping of the upper teeth with the lower teeth. Slight overlap is actually ideal, but an extended overlap necessitates treatment. Crossbite occurs when the upper teeth bite inside the lower teeth on one or both sides of the jaw, affecting the front or back teeth. Anterior Crossbite refers to underbite or the overlapping of the bottom teeth with the upper teeth. Spacing between two or more teeth may occur as a result of smaller teeth, missing teeth, a tongue thrust, or thumb sucking. Diastema is spacing between only two teeth, typically the top front teeth. Impaction occurs when a tooth is unable to descend and erupt past the gum line due to an obstruction. Crowding can lead to a tooth being impacted. Hypodontia is simply a missing tooth, resulting from improper development or blunt trauma. Open Bite occurs when there is no overlap between the upper and lower teeth. Tongue thrust or thumb sucking are the most common causes of open bite. With advancements in orthodontics, treatment options for malocclusions are more convenient than ever before. Clear aligner therapy can address every type of malocclusion, and Dr. Joel Butterworth specializes in customizing a treatment plan that works efficiently and effectively. We look forward to scheduling an appointment to discuss your specific needs: 540-899-7791. Patients with braces are advised to avoid popcorn, nuts, sticky or hard candy, gum, ice, chips, or pretzels. When it is time for a meal or snack, aligners are simply removed. Brushing is advised before putting the aligners back. 2. No physical activity restrictions. Some musicians and athletes find wire braces to be uncomfortable while playing their instrument, singing, or using their mouth guard. Other patients report an effect on their relationships. With removable aligners, the impact on day-to-day life is as minimal as possible. The length of treatment is often substantially less, as well. 3. Unobstructed brushing and flossing. Invisalign patients enjoy better hygiene due to the fact that they can brush and floss as they normally would, without any obstructions in the way. There is no need to purchase a Waterpik or any other device that supplants flossing. There are also no discolorations to worry about, as is often the case with the gluing of metal brackets. 4. No broken wires or emergency visits. Patients with braces often pop or break wires, causing damage to the gums and/or mouth and resulting in the need for repeated interim and emergency orthodontic visits. This can be especially inconvenient for patients with busy or demanding schedules. 5. Invisalign is nearly invisible. Patients often feel much less self-conscious about wearing clear aligners vs. wire braces. With its contoured low profile, Invisalign is much less conspicuous and obstructive than any other clear aligner. The Invisalign clear aligners are trimmed to gum line for the maximum comfort and wearability. Other clear aligners cover more surface area and are more cumbersome overall. In addition to the benefits of Invisalign, the cost is typically the same as traditional braces and the length of treatment is often comparably less. Many dental plans cover a portion of the cost and many providers offer payment plan options. Depending on the particular case of each patient, Invisalign treatment can be up to 2x faster than metal braces. Your ideal smile may be achieved more conveniently than you thought. Call Smile Center today to schedule your free smile assessment: 540-899-7791. The most common misconception is that straightening your teeth is more about cosmetics than oral health. In reality, when teeth are in proper alignment, they are less prone to problems like decay, cavities, and other more serious, long-term dental health issues. According to the American Dental Association, malocclusion, or the imperfect positioning of the teeth, may lead to tooth decay and other negative effects. More and more patients are turning to clear aligner therapy for the solution to their malocclusion. And among the options for clear aligners, Invisalign is the most popular brand for its leading-edge technology and reputable results. Not only can Invisalign help you achieve your best smile, the treatment can also lead to optimal dental health. Total body impact. Oral health directly affects a patient’s overall health as bacteria can lead to infections—not only in the mouth but in other parts of the body as well. Gum disease. Periodontal or gum disease is more prevalent in patients with crooked teeth. The reason for this is crevasses can often harbor bacteria which then leads to plaque build-up and the erosion and infection of the gumline. Improper maintenance. Flossing and brushing teeth will be less efficient in crowded areas. The less accessible parts of the teeth and gum line will be more susceptible to bacterial growth. Bad breath. Bacteria in the mouth is the number one cause of bad breath. No matter how diligent you are with brushing and flossing, bacteria can build up in inaccessible areas. Susceptibility to injury. Teeth that are exposed or protruding can chip or crack more easily than teeth that are in proper alignment. When teeth are misaligned, uneven wear and uneven pressure can occur, leading to more serious problems. At Smile Center, we look forward to designing the treatment that works best for you and guiding you every step along the way. Call the office today at 540-899-7791 if you would like to discuss the many reasons why clear aligner therapy could impact your smile and your life.